As much as I love shopping, I am a big fan of homemade gifts - I think it's really nice to put a little bit of effort in AND it also tends to be cheaper, which is always good! 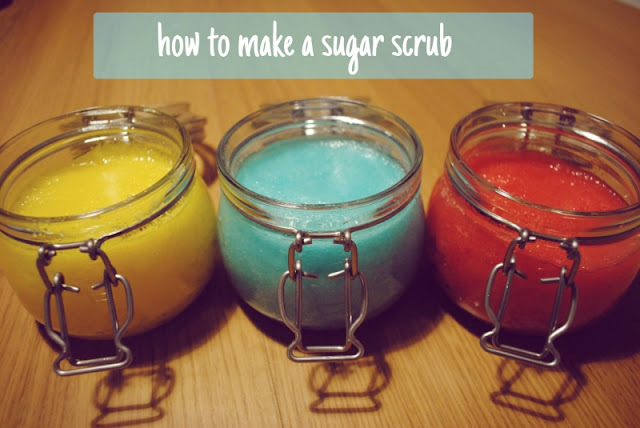 Here's a really easy DIY - how to make a lovely coconut & vanilla sugar scrub. Mmm! (Mum & sisters, please look away now - ha!). I used American cups to measure everything out as it seemed easier - if you don't have a set there's loads of conversion calculators online! A jar! I got mine from Ikea. 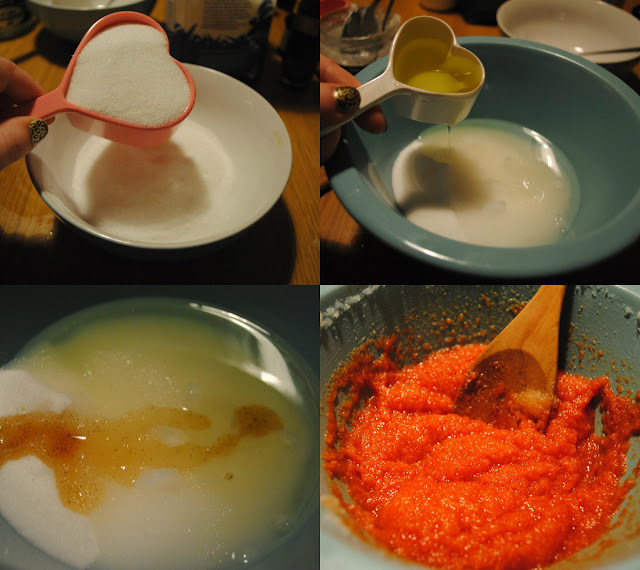 Measure out your sugar and put in a large bowl. Melt the coconut oil (I put it in the microwave for 30 seconds), then mix in the grapeseed oil and vanilla extract. Stir it all together, and add in a couple of drops of food colouring. 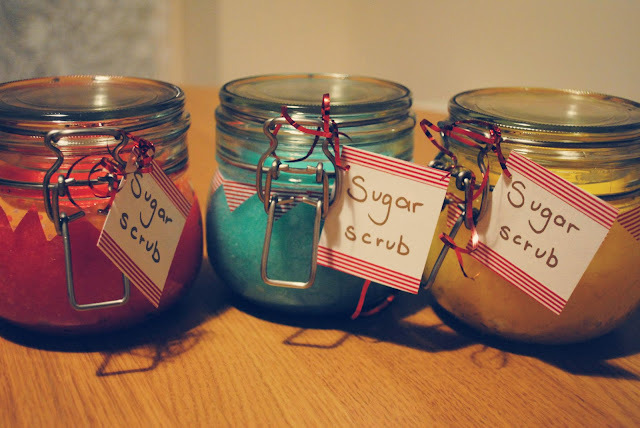 Stir again, check that the scent is as strong as you'd like & spoon into a jar! As I was making these as gifts, I cut out some washi tape into triangles & stuck it round the jars to look like bunting. I made some gift tags & tied them on with tiny bits of tinsel. Lovely stuff! Disclaimer: This post is in collaboration with NOW Pensions (thanks guys!). They're keen to put money saving at the forefront of people's minds this Christmas, and to think about saving money more generally - particularly when it comes to saving money for the future. Ooh these are lovely Juliet - I love the colour and the little Washi tape bunting! Thank you! I had almost forgotten that I had the washi tape, so I was chuffed to find it! Think you could use the same recipe but with salt for a salt scrub ? This is amazing, thank you so much! Def going to give these a try for myself first before I give them as gifts haha! I always like handmade gifts because; those gifts will be added with love and care. It seems a good idea. I should try once.